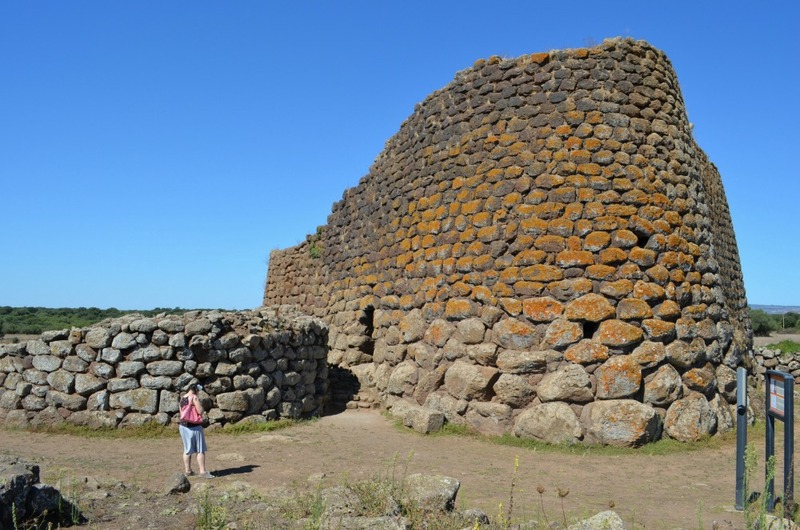 The original name, nurache 'e losas, means' nuraghe of the tombs', and refers to the Roman cinerary urns carved into the rock outcropping on the edge of the area in which it stands. 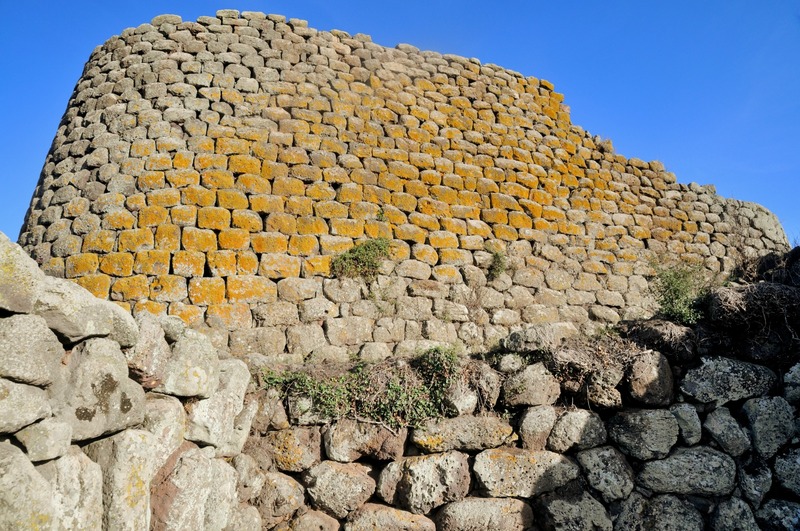 The unmistakable shape of the Losa nuraghe stands on the basalt plateau of Abbasanta, five kilometres from the small Oristano town. Walking around its huge, solid and flat structure - laid out in the shape of an equilateral triangle - you may notice that from certain angles, it looks like the bow of a ship. It is one of the most remarkable and characteristic expressions of nuragic architecture, and has been an archaeological excavation site since the 19th century, distinguished by its organic design, the compactness of the shapes and the refinement of the masonry techniques. 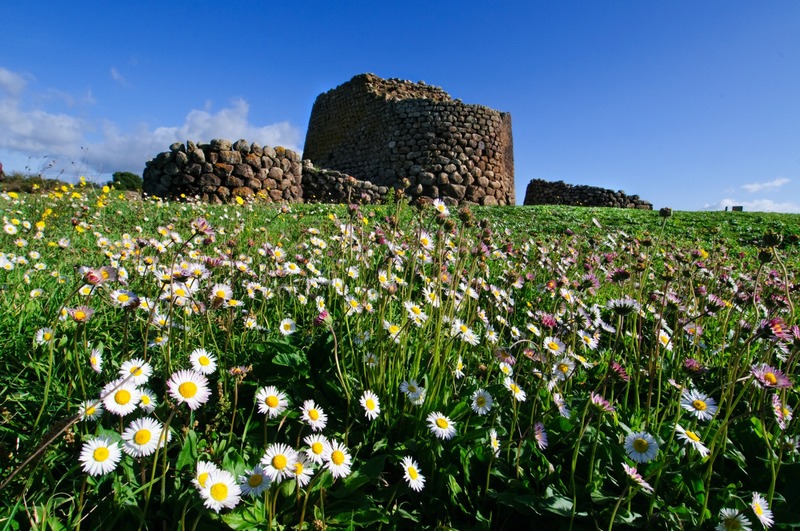 Nearby are remains of an extensive settlement immersed in the greenery of the Mediterranean scrub, witness to thousands of years of history at the site, from the nuragic to the Roman age, when it was used for funeral purposes, through to the High Middle Ages (7th-8th century). 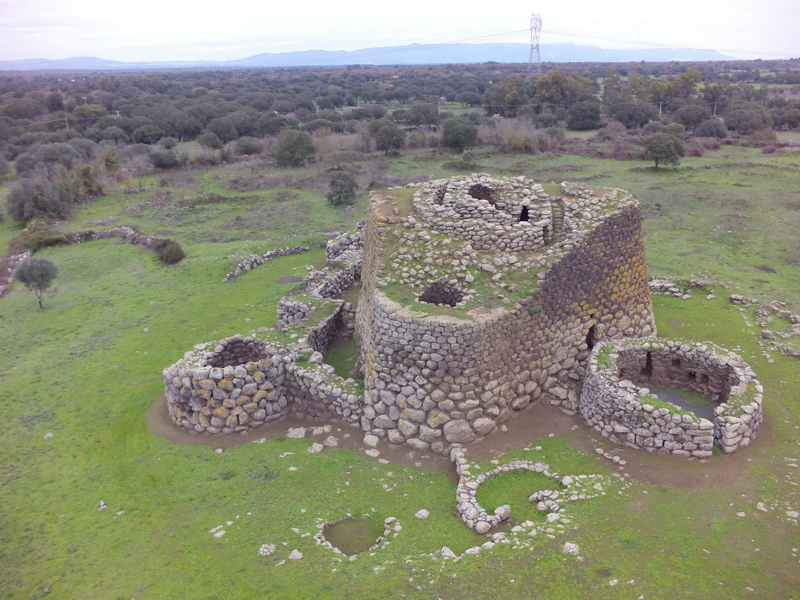 The complex, entirely built out of large blocks of basalt, consists of a trilobed nuraghe dating from the Middle Bronze Age (15th-14th century BC), an antemural and remains of a village of circular huts, built between the Late Bronze Age and the Iron Age (13th-19th century BC). At the entrance, you will discover that the enormous compact mass - the secret of its extraordinary state of conservation - also contains spacious rooms. It does not, however, have an outdoor courtyard like most complex nuraghes, and the functions of the courtyard may have been replaced by external areas. You will enter through a main entrance, raised above ground, and follow a straight corridor into the original truncated-conical central tower (keep) and the two side towers. The rear tower, on the other hand, is accessible from a secondary entrance. Moving through the shadows of the corridor, you can breathe in the smell of the stones covered by moss, and experience the sensations of the mythical nuragic age. After the raised threshold, you will find three passages that lead to as many rooms covered with tholos (false domes). The keep - today 13 metres high, but originally more - has a 'classic' structure: a large base room with three niches arranged in a cross. A spiral ramp rises clockwise to the small upper chamber, and once reached all the way to the top. The three smaller towers are arranged around the central one and have high ceilinged, narrow rooms joined by the masonry that wraps the entire structure. Inside there are also three wells, used as storage for food or other materials. The main tower and the three-lobed bastion are surrounded by a long and impressive oval-shaped wall, with doors and two protruding turrets, while the walls are pierced by slit-shaped windows. The antemural extends to the back, to the north and west, covering a narrow courtyard. At the base of the western tower there is a cistern. In front of the entrance, however, stands an imposing round building, presumably with important functions - perhaps a meeting hut - as suggested by two opposing entrances, two large niches, four cabinets and five slit-shaped windows. Of the vast settlement around, extending for three and a half hectares, only a small part has been excavated. 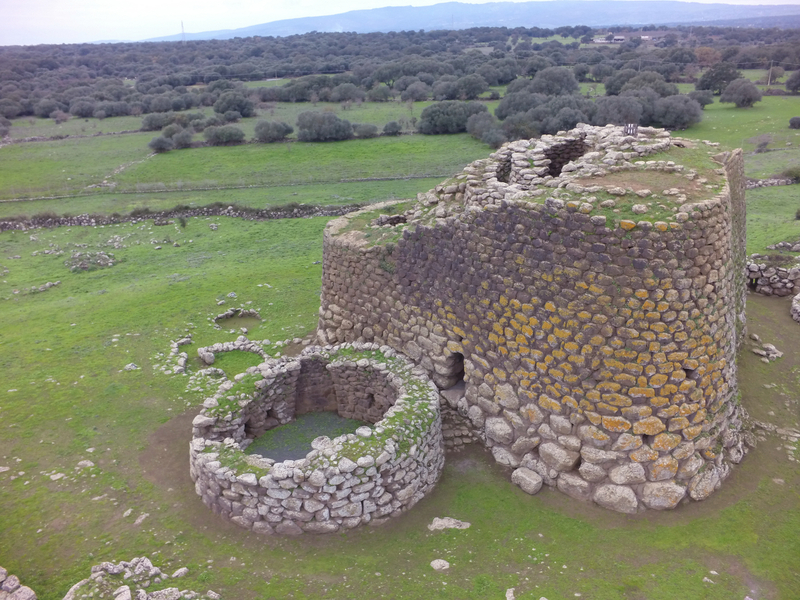 At various points you will observe the remains of nuragic dwellings and, above all, houses from the late Punic, Roman Republican and Imperial, Late Roman and Byzantine periods. At a distance from the settlement, funerary and religious monuments were found: 120 metres south-west of the wall, you can admire a Giants' tomb built with perfectly worked blocks, mostly dismantled over the millennia. It is to be found a short distance from SS 131, clearly visible from the road, between km 123 and km 124, at the turnoff for Siniscola, on the right coming from Sassari and on the left coming from Cagliari: a short road leads to the entrance to the archaeological area.